The New England Patriots will have to call upon their mantra ‘Next Man Up’ once again. 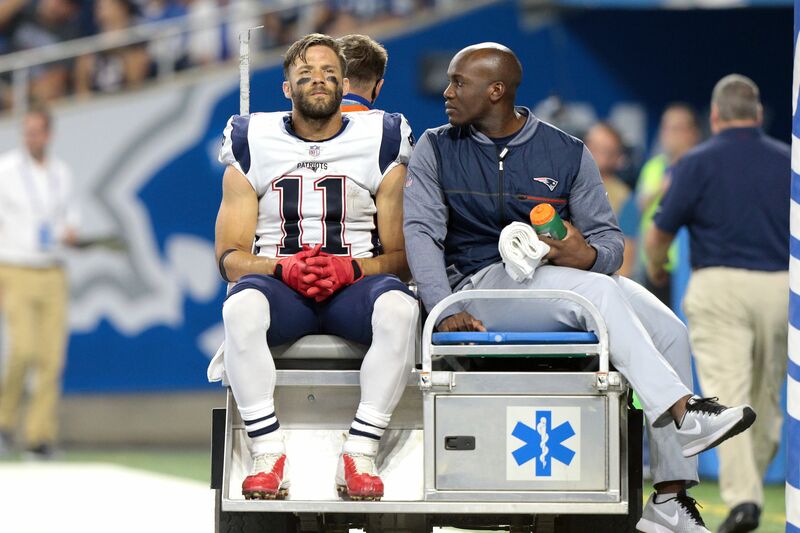 After Julian Edelman limped off of the field Friday, the Patriots suspected their top wide receiver had torn his ACL. An MRI on Saturday confirmed the injury, according to Albert Breer on Twitter. Fears confirmed via MRI, Patriots WR Julian Edelman has a complete ACL tear in his right knee, per source. The Patriots have gone through losing star players before, but the only time it affected their nearly annual playoff status was when they lost potential greatest of all time quarterback Tom Brady. The team still went 11-5 that year. Ultimately, this means a player like Danny Amendola, Chris Hogan or Malcolm Mitchell will have an opportunity to step up. Knowing Belichick, whichever player is currently playing the best will get the nod to start opposite from new acquisition Brandin Cooks. With a loaded receiver depth chart and Gronkowski, arguably the best tight end in the league being back in the fold, the Patriots should still be fine. However, they will miss Edelman’s production. According to Pro Football Reference, Edelman led his team in targets, receptions, yards and brought in three touchdowns with zero turnovers. Edelman was also the team’s leading punt returner, even though he had three fewer punt returns than the player right below him. While we won’t know for sure how much this will impact the team’s strategy going forward, we do know that when things like this have happened in the past, New England has gone on to do just fine. In fact, some of the joy that comes from watching the New England Patriots is seeing how Coach Belichick is going to overcome his next obstacle. In other words, Patriots fans should still be excited about the 2017 NFL season.